To ensure that the subscription form provided within Email subscribers – Group Selector is compliant to GDPR, we have provided a ‘consent seeking’ checkbox in each of our forms. This article explains how to enable consent checkbox in the subscription forms provided by Email Subscribers – Group Selector. NOTE: It is mandatory to download and add the GDPR plugin by Trew Knowledge inorder to make Email Subscribers – Group Selector GDPR compliant. 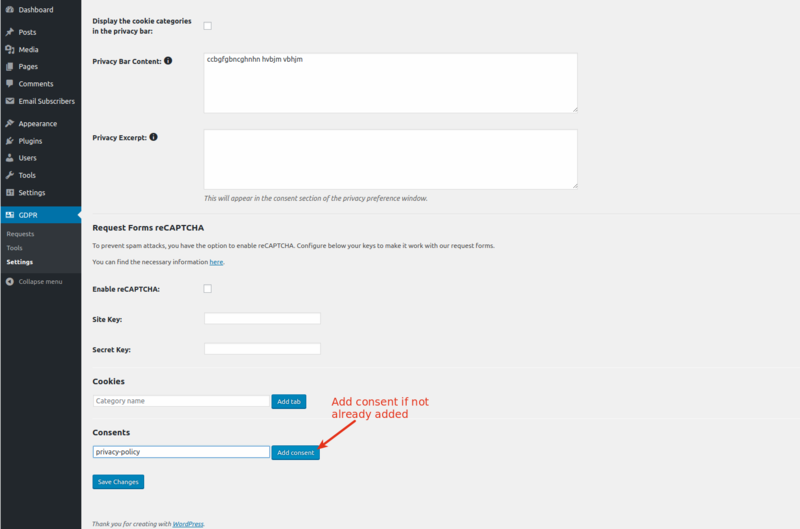 How to enable consent checkbox in the subscribe form? Make sure you have installed and activated above mentioned plugins (as it is necessary for the consent checkbox). 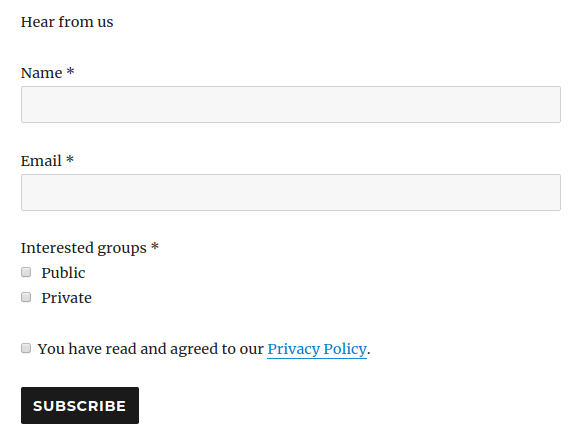 This is the consent checkbox that will be shown in Email Subscribers – Group Selector form.